Máster Universitario en Gestión Cultural - UIC - MA in Arts and Cultural Management: From Austria, our alumni Elisabeth Wulz: "The involvement in contemporary art enables people engaged in independent cultural intiatives to form their identity"
From Austria, our alumni Elisabeth Wulz: "The involvement in contemporary art enables people engaged in independent cultural intiatives to form their identity"
We introduce you our alumni Elisabeth Wulz, an Austrian who studied the Master’s Degree in Arts and Cultural Management at the UIC in the Barcelona Campus during the academic year 2011/2012. Graduated in Transcultural Communication from the University of Vienna, she is currently still completing her education at the same university doing a Master's Degree in Austrian Studies, working and studying at the same time. Last week we contacted her and in this interview she talks about her recent professional activity and her experience in the Master’s Degree in Arts and Cultural Management at the UIC Barcelona. Question. Elisabeth, you are currently working at the österreichische kulturdokumentation in Vienna. How did you find this job and since when have you been working in this institution? Reply. I contacted the director of the österreichische kulturdokumentation, Ms. Veronika Ratzenböck, after I have read into the institute’s very interesting publications dealing with cultural policies on a national, European and international level. To name a few examples, the recent published studies deal with the spatial potential of creative uses of Vienna ("Spaces for Creative Use. Potential for Vienna"), the cultural funding from the EU regional funds (“A handbook for Cultural Funding from the EU Regional Funds”), the developments in the creative industries in Vienna or the effects of national and local cultural policy (“Creative Industries Alliances and Symbiosis - departure and the Creative Industries in Vienna”) and the EU-funded programmes on cultural diversity and intercultural dialogue (“EU-Project: Evaluation of Cultural Policies and EU-Funded Programmes as Promoters of Cultural Diversity and Intercultural Dialogue in the Balkans/Southeast Europe”). After I have remained quite persistent, I was invited to a personal meeting in which Ms. Ratzenböck introduced the future projects the institute was commissioned with and described how she imagined my involvement in the team. In the end she offered me to start working in October 2014. Q. The österreichische kulturdokumentation is a center dedicated to research, analyze, evaluate and assess on trends in cultural policy at national, European and international level. What is your role and what activities do you develop within this institution? R. Besides researching and documenting culture, cultural policy and creative industries, the österreichische kulturdokumentation studies the interfaces of politics, society and economy. As a research assistant, I am currently involved in an explorative study to find out what the social value of cultural heritage is. The overall objective of this study is to portray how cultural heritage, in its diverse forms -tangible, intangible and digital- is bringing people together and might therefore also contribute to a better quality of life. The österreichische kulturdokumentation explores current measures and activities with regard to the importance of the cultural heritage for society in Austria and I am in charge to describe best-practice examples independently. This study builds on the The Council of Europe´s Framework Convention on the Value of Cultural Heritage for Society (Faro 2005). Q. 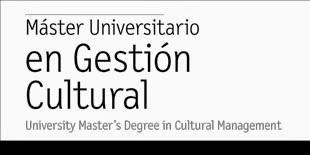 As alumni of UIC Barcelona how do you apply the knowledge acquired in the Master’s Degree in Arts and Cultural Management to your daily work in Vienna? R. The theoretical and practical knowledge I acquired during the Master’s Degree in Arts and Cultural Management at the UIC turned out to have been an extremely useful basis for the current work I am conducting. The course Cultural Institutions and Policies gave a broad overview about cultural policies on a national but also on an European level. That basis helped me to understand the big picture and was a useful starting point to now broaden my knowledge in that field even more. Furthermore, the legal aspects of cultural heritage were profoundly discussed during in the Master’s Degree, a topic that is crucial for the current study I am working on. As I was involved in a board meeting of the Manifesta, the European Biennial of Contemporary Art, shortly after I started to work in October 2014, I could easily apply my knowledge gained during my favourite Master’s course Tools for Managing Culture. As an example, we conducted a SWOT analysis or discussed the level of competition within the cultural industry with the help of the Porter’s model during that meeting. Q. Since September 2013, you also are part of the Laissez Flair Dance Company. Could you tell us a little bit more about this company and about your interest in dance? R. As my friends and I always want to share our love for dancing with other people and liked to create and express our life stories and experiences, we came up with the idea of setting up our own dance company. We have all danced since we were little kids and also tried out different dancing styles: from ballet to jazz dance, hip hop and modern dance. The Laissez Flair Dance Company is really engaged in a wide range of cultural events, starting from creating pieces for music video clips, fashion and art shows or Viennese balls. At the same time we are holding numerous awards won in national and international competitions. Q. Elisabeth, from your professional experience in cultural policies, what do you think are the main challenges that the European cultural policies are facing in the 21st century? Do you consider that cultural policy in your country differs from those that experienced in Spain and in Barcelona? R. Cultural institutions all over Europe are facing a very hard time in these moments. The monetary restrictions are intense. In the south of Austria (Carinthia) where I am originally from, independent cultural initiatives which are really engaged in the local culture just had to face severe financial cuts as the public subsidies were brought down to the minimum. The authorities in charge have not been available to discuss solving strategies. Carinthia is the only federal state which is losing more and more inhabitants. Especially young and well educated people are leaving the country. The support for independent cultural initiatives would be, from a sociopolitical viewpoint, a great opportunity for cities to raise the interest for younger people while at the same time providing new job opportunities. In my opinion, the involvement in contemporary art enables people engaged in independent cultural initiatives to form their identity. However, there is to say that Austria is still in a better position than a country like Spain. I have talked to my Spanish friends who are telling me that culture can only be a hobby for them as there are no working possibilities which enable you to live a decent life. Q. And finally, what book, website, blog or article you recommend to our readers? And what advice would you give to those who are thinking to start next year the MA in Arts and Cultural Management at the UIC Barcelona? R. The Compendium for Cultural Management published by Armin Klein gives a very comprehensive overview of cultural management strategies in German speaking countries. I would really recommend this book. Furthermore, there are a lot of homepages worth visiting if one desires to get information about cultural policies all over Europe (European Cultural Foundation). As I am currently dealing a lot with cultural heritage, I was also introduced to the internet portal Europeana, which has digitalized millions of books, paintings, films, museum objects and archival records throughout Europe. Go, and check it out! If you are looking for a job in the cultural field in Austria, the homepage kulturkonzepte.at proved to be extremely helpful for me. What I want to pass on to the future Master Students of Arts and Cultural Management is to be passionate about and love what you are doing because the cultural wolrd is not an easy work field to tap into. The challenges to be faced are intense and not really easy to overcome. But if you always strive for creativity, work hard and try to filter out the important aspects in life you will easily find your way. Good luck!